Out on May 19th, this EP comes from the "first post-Soviet vinyl label", KDB. With some of the quirkiest artwork we've seen this year (a figure skating Putin anyone?! 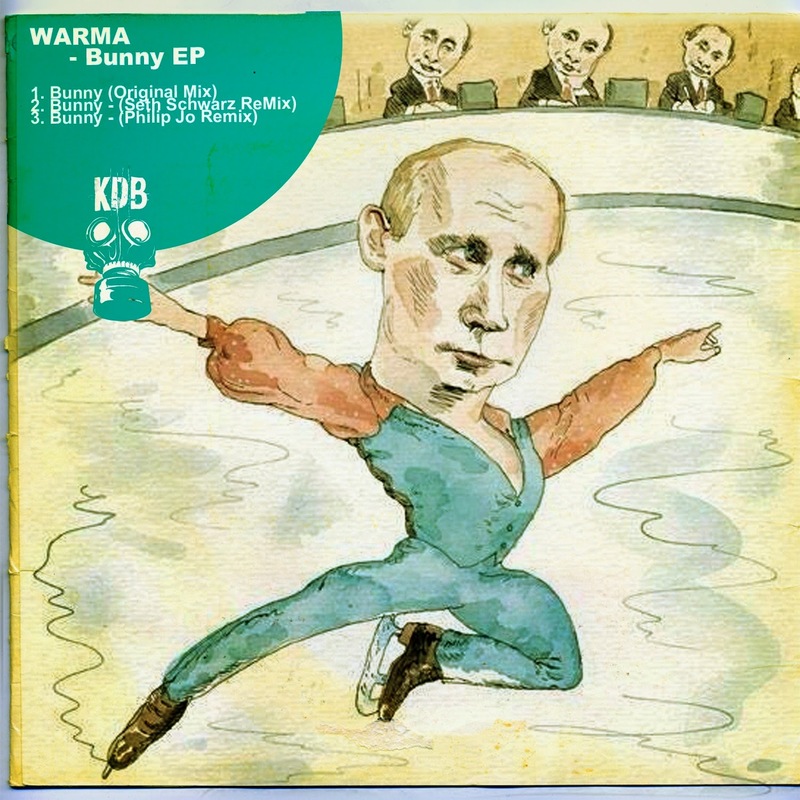 ), the title track is a fun slice of techy house from Ukranian producers Warma. There's also a remix from South African producer Philip Jo, part of Dubai's seminal Audiotonic crew. The Seth Schwarz version is truly the star of the show here though, featuring no less than 30 layered violin parts, all played live by the Berlin producer. If you like your dance music emotionally charged, epic and containing lyrics about rabbits, you'll want to snap this one up!